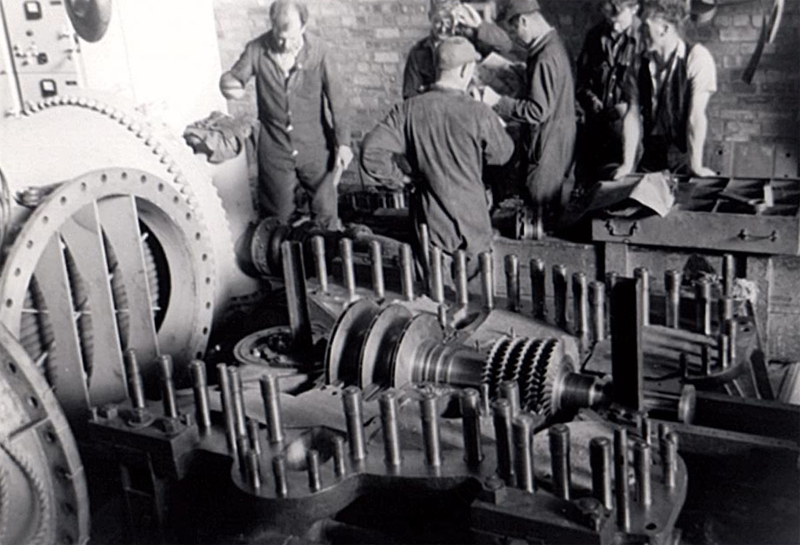 Bill Graham started his working life at the coal face – as an apprentice mechanic of the mine for the National Coal Board in the collieries of his home county of Fife. It was a Coal Board scholarship that enabled him to go on to study for a BSc in engineering at Heriot-Watt in Edinburgh. That link between abstract theory and direct practical hand-on application is something that’s been a feature of so much of what he does. 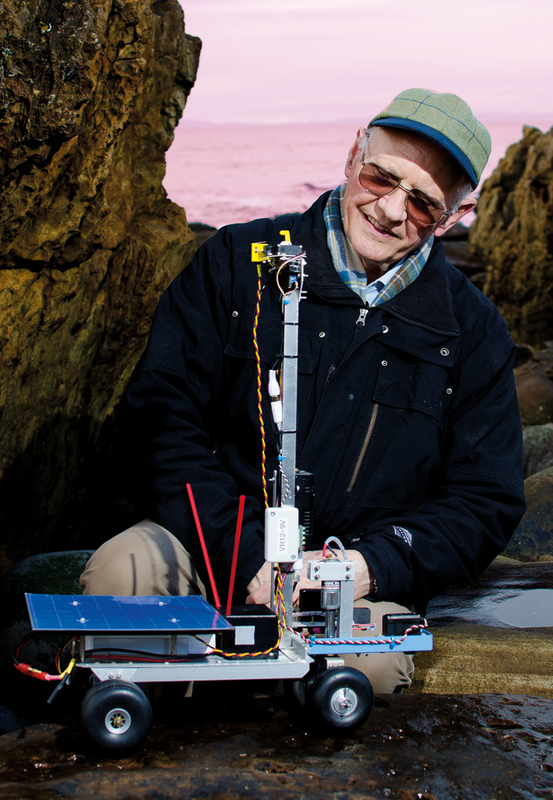 His career has taken him from managing a large industrial laboratory to meeting astronauts and making a model Mars rover from scrap. The TI Group of more than 140 companies manufactured a vast range of products – from steel to machine tools, from gas cookers to aircraft components. 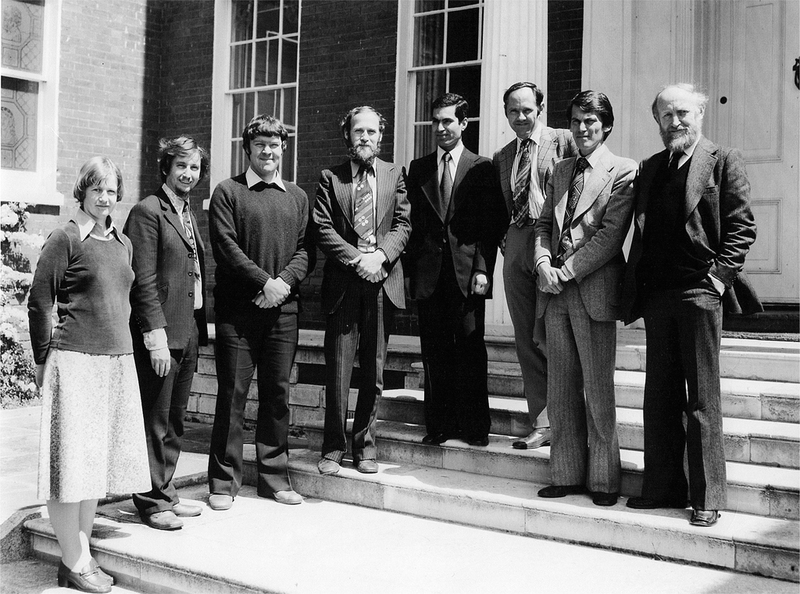 They set up research laboratories at Cambridge to develop the use of new materials such as plastics and ceramics, and they had the most advanced research equipment of the time and leading scientists and engineers to work with it. And they were set up with a vision. 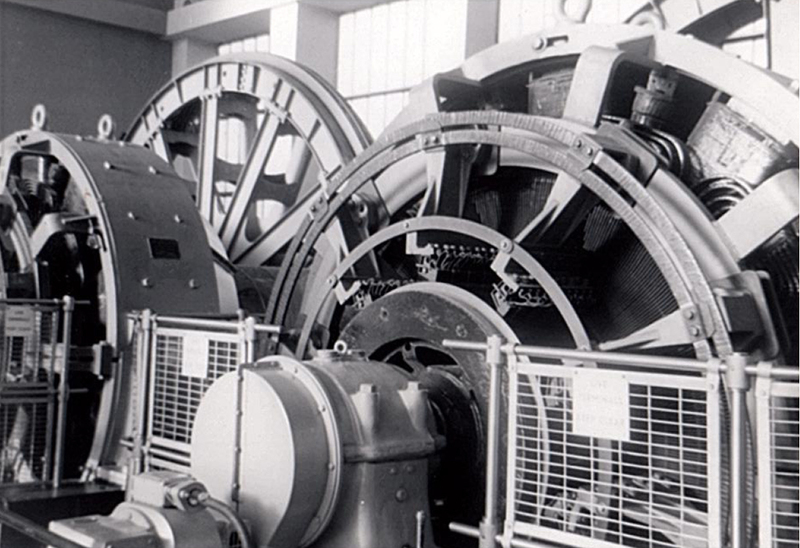 Basic research had contributed so much to winning the war, and now in peacetime it would be applied to solve problems and create new opportunities for a post-war resurgence of industry. Bill was there for 24 years, eventually becoming technical director and responsible for the technical direction of the laboratories. 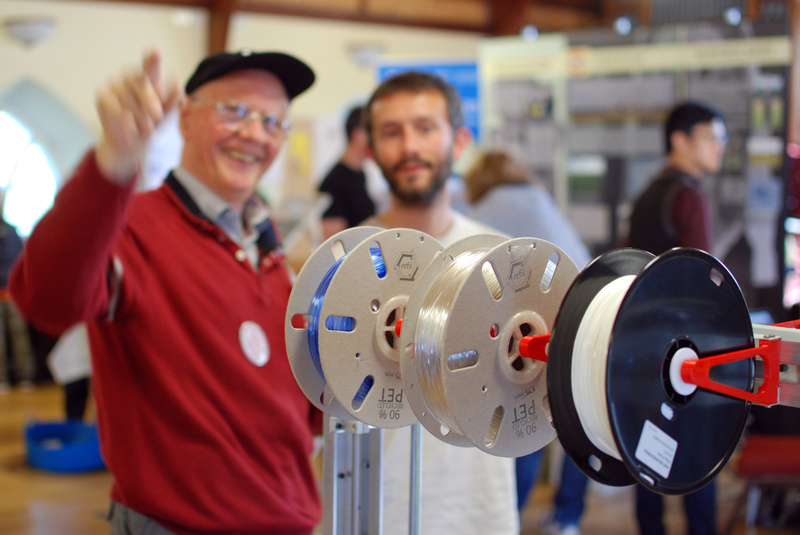 At any one time there could be around 200 projects running, one of which – the development of superplastic aluminium – led to a Queen’s Award for Industry. But by 1991 the direction of industry in Britain was changing, and the TI Group was selling some of its companies and buying others overseas, and it decided to distribute its research amongst its various divisions. Bill had met Pam Bethune when she worked at the laboratories. She had left to work elsewhere but then returned and they married and had two young daughters. Today Victoria is a software engineer working with the Wood Group, and Caroline a senior scientific officer with the British Geological Survey. Back in 1991 Bill and Pam had to work out which part of Scotland to settle in, and they drove around the whole country to help them decide. They eventually concluded that it should be somewhere halfway between his relatives in Fife and hers in Caithness – which led them to Moray. Bill’s plan was to develop his own business writing software, which he did, but he was then recruited to become the manager of the Moray Education Business Partnership, part of HIE. 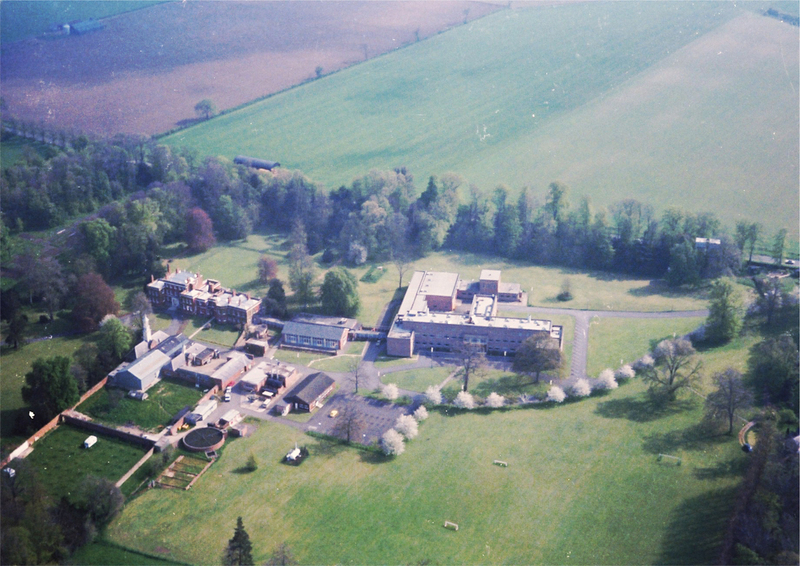 That led to further work with the enterprise network, including managing the Scottish Space School in the area. Part of this work was to take students from Scottish schools to Houston to learn at first hand about space flight and engineering and meet astronauts and NASA engineers. The Scottish students would be invited to home visits with astronauts such as Bonnie Dunbar, Mike Baker, Jim Reilly, and also Chris Hadfield, later to became known around the world for singing the David Bowie song ‘Space Oddity’ from the International Space Station. 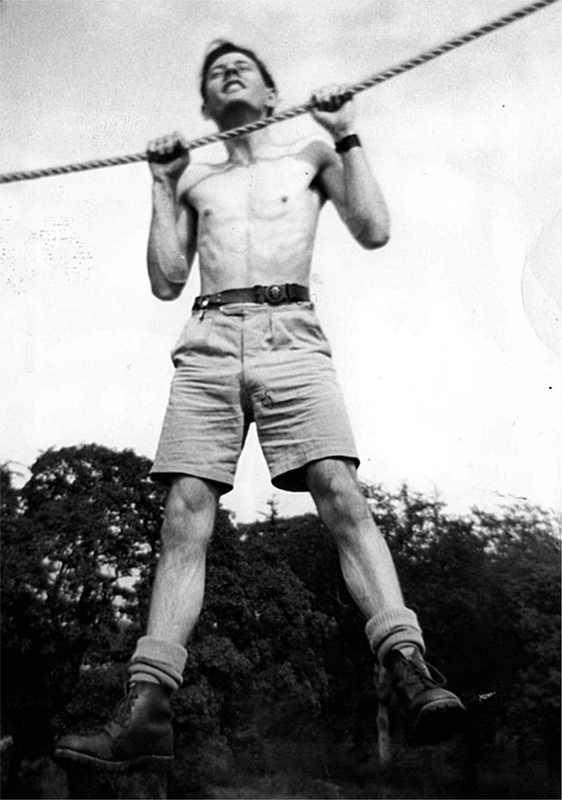 Retirement was an opportunity for Bill to give more time to the many spare-time interests which he had developed over the years. 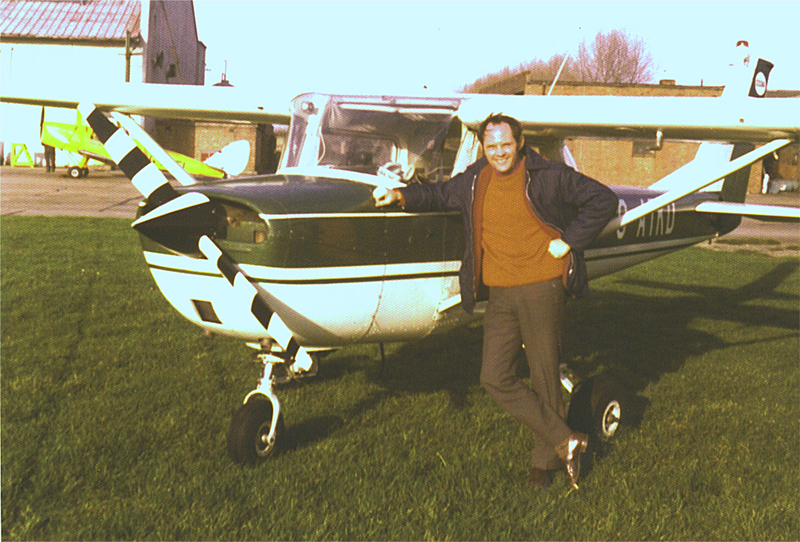 He is an active member of the Dallachy Aeromodelling Club, the Culbin Model Club, and the Forres Heritage Trust, and he is also a Fellow of the Institution of Mechanical Engineers. But in particular he gets a great pleasure out of designing and making things. He designed the low-energy house where he and Pam live in Forres, and he has also developed a design for a prototype affordable house using local materials and a patented approach. He has rebuilt and refurbished various types of 3D printer and has designed and built his own one which uses an innovative multiple head system. The Mars rover came about as the result of an invitation to take part in the Orkney International Science Festival, where Bill is an annual participant. The rover is a great attraction for people of all ages. Wherever it goes, it becomes the centre of attraction and creates a buzz. On a photoshoot for KN Magazine on the beach at Burghead, a passing family stopped and thought it “must be a Mars rover” – it provides an instant talking point. It also shows that engineering is not just about fixing things or nuts and bolts – it’s a creative discipline which involves problem-solving with imagination and skill. The UK is, according to Bill, currently short of about 40,000 engineering graduates for industry. 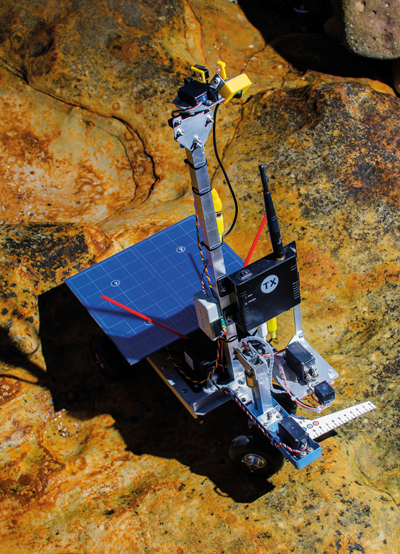 Demonstration items like the rover will, he hopes, put the art of engineering firmly into the minds of the next generation. The chassis is made of metal strips from an old greenhouse, and the wheels are off a model aircraft. The front wheels are linked by the arm of a 2D drafting plotter. The radio control system comes from a model aircraft, with the addition of a remotely-controlled video camera which can pitch and yaw, and the rover can go forwards or backwards depending on what it encounters. 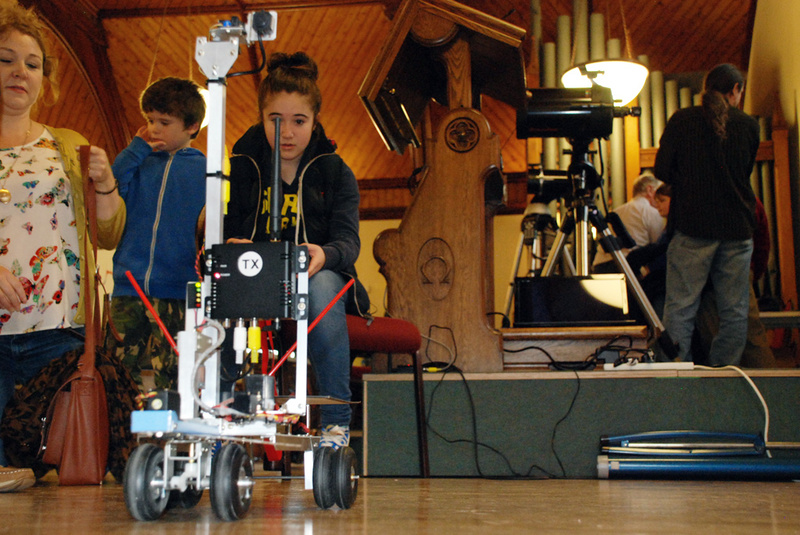 Bill likes taking the rover for an outing, and for a recent assignment – a Family Activities Day at Findhorn Village Centre, he programmed the rover to go out and about on the streets to advertise the event. The day in Findhorn was one of the activities of a group Bill chairs, the T-Exchange. It is one of only five makerspaces in Scotland, providing encouragement and support to stimulate the take-up of new technology by local communities and businesses. Looking to the future, there’s little doubt that many jobs will be lost through the development of artificial intelligence and robotic manufacturing,” he says. “But that’s in making things and there’s another whole area of work in dismantling and recycling. I believe it will be many tens of decades before robots with the general intelligence of a human workforce will be around to dismantle and sort a random range of parts from goods like toasters or washing machines. This will be quite a change, as for many decades tens of thousands of people have worked in mass production factories doing utterly boring repetitive jobs. In contrast, there will increasingly be opportunities for people and communities and businesses to apply skills and creativity to the challenges of taking discarded equipment and turning all the parts to good use rather than simply burying the lot in landfill. You can find out more about the activities of Bill and the T-Exchange on the web at www.t-exchange.net. This was first published in the March 2018 issue of KN Magazine.